Little E is really suffering at the moment. She's full of cold and it's just horrible to see. Her nose is running, she's all snuffly, breathing heavy and even her little eyes are watering. It's heart breaking but there are some simple things that you can do to help. Remember though, I am just the voice of a second time mummy, if you have any concerns or worries then seek medical advice! One of the easiest things to do for your baby is sit with them in a steamy room. Run yourself a hot bath and sit with your little one in the bathroom for quarter of an hour and let her inhale the moist air. It should help loosen any congestion and may help if she has sore throat. Proper humidification is important for children since because they have smaller nostrils and therefore they get bunged up more easily. If that all sounds too much like hard work then you can actually buy a humidifier like this one from Vicks. They can help to reduce the survival of flu viruses and ease conditions such as a dry nose, throat, eyes and skin discomfort. 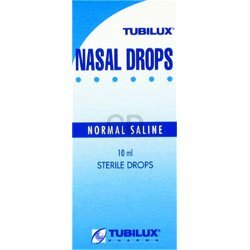 I discovered Saline nose drops when Mister A was a baby. It's about the only thing that your doctor can give you to help with the snuffles. Now that the NHS Minor Ailments scheme is in place you can just pop to your local participating chemist and pick these up from them. We're always nipping in to our local chemist for Calpol and the likes - it's free - and you don't have to waste time trying to book an appointment with the doctor. 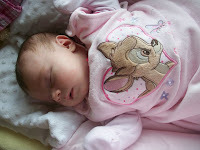 Make sure your little one gets plenty of rest - don't over exert them and let them sleep for longer if necessary. If your baby is drowsy and un-alert though, then seek medical help immediately. Always make sure that your baby is at a comfortable temperature. It can be tempting to add an extra blanket when they are unwell but that can do more harm than good. Mister A was forever getting a cold when he was a baby and we found that putting a couple of towels under the head of his mattress really helped him with his little nose during the night. Make sure your baby gets plenty of fluid - for young babies that's just breast milk or formula but once you baby gets to 4 months you can give them a little cooled boiled water if needed.